it's also possible to say, 15 is too many. "shine a little light on me"
then all you have to do is ponder for a bit and then leave me a comment, either here or in my inbox (tif@dottieangel.com) telling me what you favorite holiday season is. if i were to say "holiday" in the UK, most people would presume i was packing my suitcases and heading away for a few days... here, everyone would think i was talking about a 'celebration' of some sorts, be it, hanukkah, christmas etc. so i think you have the idea, i am not wishing you to tell me about your favorite vacation trip but about your favorite 'celebration'. for me that would be christmas, hands down it's my favorite time of year... my parents made it magical for me and my brothers, year after year, way up until we left home and even afterwards. i have in turn, tried to emulate that lovely feeling of 'family time' for my own little clan. i see my christmases as 'stopping still' and spending time together, made even more so by our #1 being born on the 26th and our #3 being born on the 27th. i also see it as an opportunity to 'decorate' the shed with yarn balls, crocheted trees and of course, more garlands... so it's a no brainer for me. christmas it is! this year i am being super prepared and instead of running around like a 'headless chicken' one week before, i am thinking way ahead of time. already my little cogs are turning and pondering, a handcrafted thrifty tree. i think it might be rather lovely if you also mentioned your reasons for your favorite holiday celebration, because i know we all like to know these things, at least i do. the winner of this giveaway will be announced on wednesday 21st october, i plan to have a passing chicken help me choose the winner. 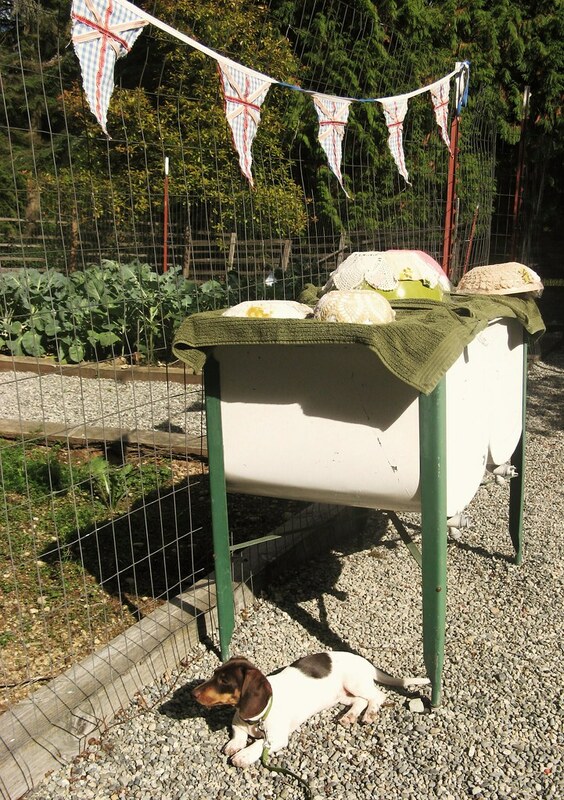 which i feel will add an element of excitement to my wednesday morning, knowing the shed will feel lonely with my best friend gone. and before i leave you for a week or so, to spend quality time with Debbie, i must just report that my 'thrifty dry' spell has come to an end. yes dearest readers, there is a thrifty God and yes, he shone done on me saturday evening. 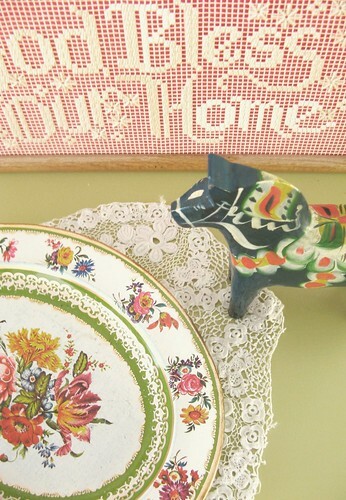 i was most excited to stumble across a little swedish horse (no doubt last years from ikea, but i'm going to pretend otherwise) in a beautiful deep teal color. and if that wasn't enough, a little set of free standing bathroom shelves for the downstairs loo 'makeover'... which i shall reveal to you upon completion of 'said' makeover. ("oh that's lovely Tif, something to look forward to on your return". footyfootynote: i am wondering if a passing chicken would be willing to put her head in a crockpot to pick a winner, do they have an inbuilt fear of such a pot. it will be most interesting to find out. My favorite holiday celebration is late at night, on Christmas Day, when DH and I finally get home from our journeys around Massachusetts, to and from family gatherings... that's when we each grab a spicy winter beer, snuggle with the dog and open our gifts to each other. If you sprinkle some corn or even breadcrusts in with the paper they will eagerly dip their little beaks in! Well, we don't have Thanksgiving over here, I don't do Halloween, Easter is a bit more complicated from a theological point of view, and I am getting too old to really welcome birthdays, so it will have to be Christmas. But not for shopping, or as consumerfest, but in a real, old-fashioned way with firelight, food, family, homemade, and not forgetting the real meaning of it all. And also remembering that once we have passed the shortest day, the light will be returning shortly, because I hate the dark days of winter. stumbled upon your blog. 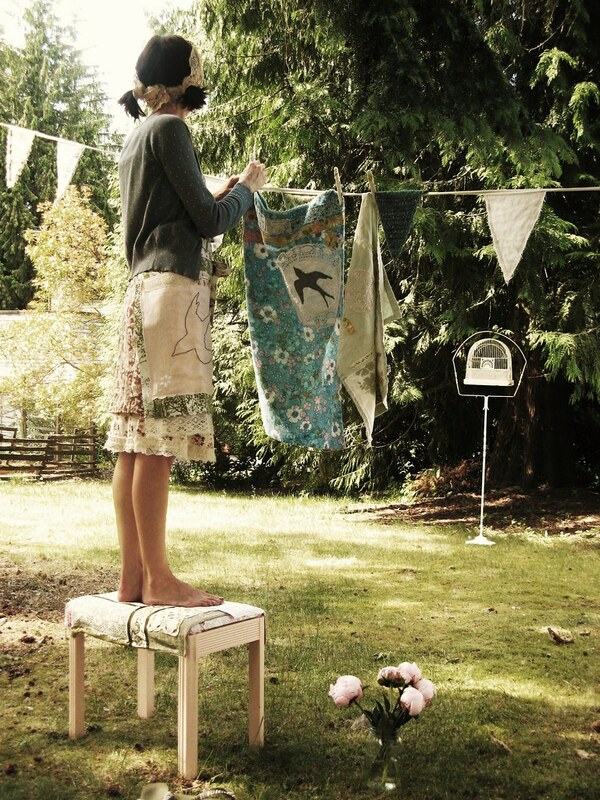 Very cute, and full of thrifty ideas. Taking the challenge, which will be a challenge with 7 kids. Pass some love my way! lol! My favourite holiday season is Christmas. I love it when the lights come up everywhere, listening to christmas music, walking slowly through the christmas streets... and I love making presents (even if I never seem to have time to make as many as i want). The best part of Christmas is the days spent with my family. oh miss tif, whilst i agree christmas is a wonderful holiday, full of family cheer, with a content belly. it is EASTER, that steals my holiday heart. spring holds hope, sunshine, flowers and easter loveliness, and of course cupcakes and hot cross buns. please enter me into your what give away of the upmost kind...x. p.s have fun with your friend, girlie times are great! Speaking of which, Christmas is my most favorite holiday. I love the coziness of being indoors with loved ones on a cold and blustery night (Christmas Eve) and the warmth and joy of Christmas morning. And, sitting in Church in the evening singing hymns and feeling all that warmth and love filling you up inside. I love it all! It's the best time of year. My favorite holiday is Christmas by far. It is such a magical time of year. I love the freshly fallen snow, twinkle lights, handmade decorations and gifts and most of all being cozy with my family just to name a few. 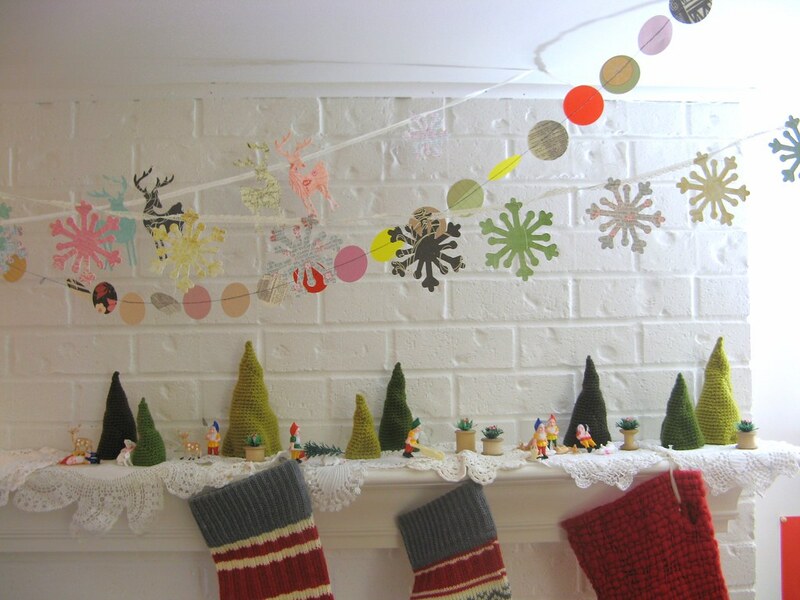 Your lovely garland would be a fab addition to our handmade Christmas. Oh my gosh, I'm soooo excited!!! I just HAVE to win this..why, you ask? Because, of course it is super amazingly beautiful and would fit into my home perfectly, and.....the drawing is on my birthday!!!!! So, my favorite holiday....wait for it....Boxing Day!! Yup, you heard right...:) Why? Because, as you know, we don't celebrate it hear in America, however, since my father was from Scotland, I draw on my fine British roots and claim it, viewing it as an EXTRA holiday...:o) (husband is hanging his head, poor baby). Ahh, it would have to be Christmas. When I was little (in grade school) my Gran'mom from California (we live in Ohio) would always send me a long, plaid wool skirt and a snappy turtleneck-body suit to wear to my Christmas program at church on Christmas eve. Combo that with "big Aqua Net hair"...those were the days! Glad to hear your lean days are over, Tif! I would love to win that banner, although you have (very nearly) got me to the point where I've read your instructions enough to attempt my own banner... Still, two in the house would be no big deal, would it? And thus, you now know my favourite celebration, and I may get some more exciting advent ideas!.. It's the anticipation that counts! 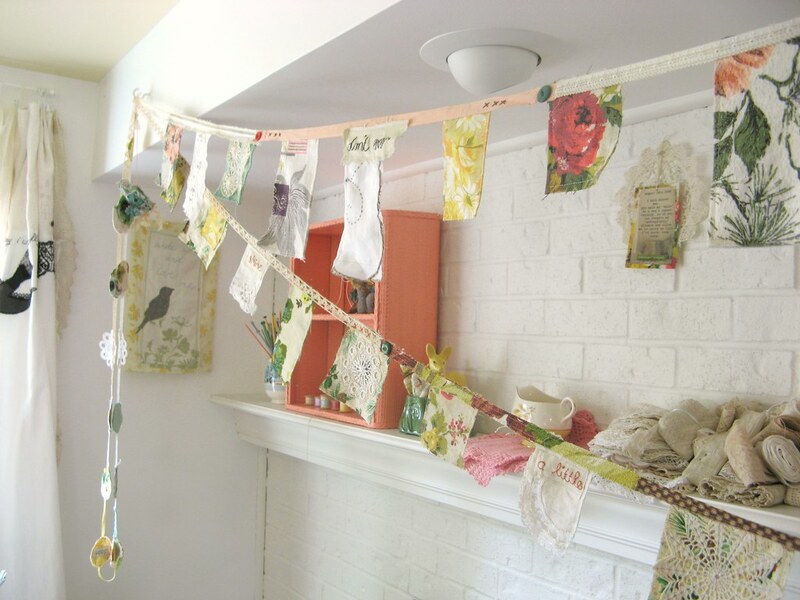 a "whatnot" garland giveaway!!!! yay! Hello there! I discovered you recently and I really love your work, so creative! I sent you a message via Etsy. Well, I like Christmas!!! When I was in Brazil, my favorite time was the celebrations for Saint John, Saint Peter and Saint Antony during the month of June. I'm afraid that my comment will be utterly hopeless as my mind is all a-jumble today but, try I must. When I was growing up my family did not celebrate any holidays at all, not even birthdays, due to my mother's particular beliefs. So, I have no childhood memories nor fondness for any celebrations. Of course, being on my own now for many years, I still did not really embrace holidays until I had a family of my own. For me the absolute best is Christmas! At least every other year. Sounds odd I know. We have an alternating plan where we travel back to see my husband's family every other year, and whilst this is lovely and very hectically festive (his family is huge) I prefer the years that we stay home in our cozy cottage. I love that we are able to create traditions that are uniquely our own (like christmas dinner of handmade ravioli), the man takes a few days off from work, fires in the fireplace, cocoa and all that winter time goodness. 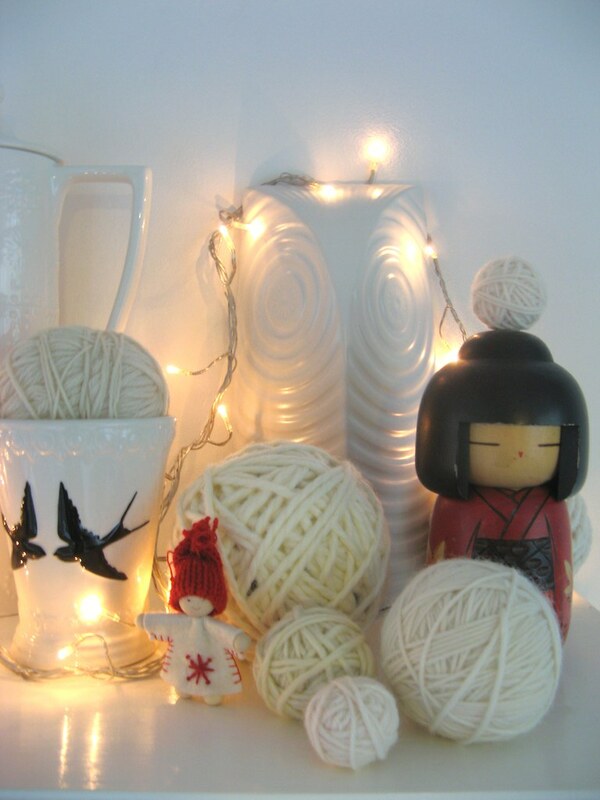 I am also a big fan of the tiny white twinkly lights - so pretty. For me, the holiday is about spending time as a family, creating memories that will last a lifetime and nurturing an appreciation for the less tangible riches we are blessed with. Coming in a close 2nd is Thanksgiving, mostly because of the pie - I do so love pie! Have a wonderful time with your friend this week! OH! if the chicken pecks it out of the crockpot, you MUST video it!!!! Please enter me in the drawing. I am inclined to say Christmas is my favorite and I think it is largely because, in spite of the loss of so many traditions in our society, Christmas seems to bring out some of the best ones: candlelight services, family dinners, songs, maybe dressing up, reaching out to others in need. Best holiday because it brings out the best in us. of course my favorite holiday of christmas. the time with family, sisters returned who don't live at home, delicious food, celebrating jesus. 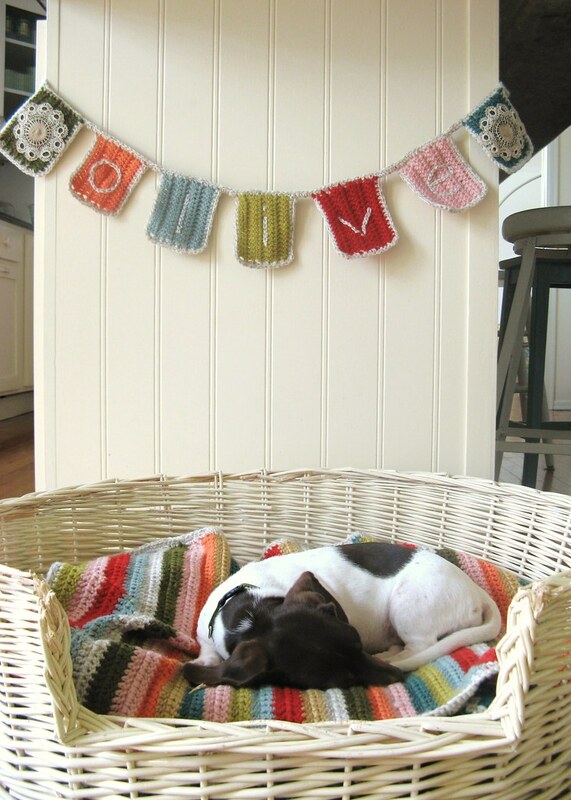 Your crocheting is so lovely, very delicate and pretty. I have to say my favorite holiday is Christmas, I love to decorate all white. I do use red but I keep it vintage, in the kitchen only..... I can't wait to blog about it this year. I love home made, I only give gifts that are made by hand! Yep, I am with you, it has got to be christmas every time. I love everything aboput it. My parents also made it very magical and I am trying to do the same for my babies. One of my most precious memories of last christmas was sharing with my daughter (8) It's a Wonderful Life, her first time, my millionth! I think I have hearted Jimmy Stewart since I was her age. We cried, she loved it! Go on let me win your banner, then there will be a little of you back in the UK! oooh lovely! Starting to love garlands too! Have made one and have plans for more. My favourite "holiday' is also Christmas. My mum and dad made it very magical. A big fuss was made every year and Christmas morning was always very exciting. I have tried to repeat this for my kids. I do my Christmas shopping early (already done for 2009) so I can relax and really enjoy the season which for me starts at the very beginning of December if not a little bit sooner!! Enjoy your time with your friend. looking forward to "seeing" you when you get back. Tif, you silly! I just trotted right on over to your shop to purchase "my" garland, and here you are, giving it away. What fun! My favorite holiday season is, without a doubt, fall, with it's fun, low-stress holidays. Have a lovely time making over your "loo." well how fabby has my cup of tea been this afternoon... let's just say 'super' fabby. how lovely to read your comments! Christmas! That's when I can make a list of all of my favorite people and try my darnedest to find the most perfect gift possible for as little money as possible. This is also the time of year that I spend untold HOURS of time perusing the patterns on KnittingPatternCentral.com, so I can find free patterns for such things as the DNA double helix (2005 DNA scarf for a biology teacher), knitted lampshade (2006 gift for my mother). Fall is my favorite season with my favorite holidays: Halloween and Thanksgiving (here in the US). Changing weather, falling leaves, costumes and turkey, pumpkin and cranberries, food and family. Oh hands down I'm a Christmas girl as well. I actually love the whole period of time between Thanksgiving and New Years. It is my absolute favorite time of year. Food, family and fun! What more could you ask for? A few years ago, I decided to chuck the whole mall business and I started making every one's Christmas gifts by hand. This is no small feat since I have a large family. I work on it bit by bit, project by project throughout the year. Because of that personal change, Christmas for me now is less about a mountain of gifts under the tree, but more like a culmination of love and care that I've put into one special gift for each of my family members at the end of the year. It sounds cliche and corny, but I've really come to embrace and enjoy the idea of giving rather than receiving. Sure, I love presents, but man, I love seeing someone open something that I've made, and knowing instantly from their face that I've hit the nail on the head... that gives me the warm fuzzies. And that's why I love Christmas in a nutshell. Well I'm a Muslim and we have celebrations and they are both called Eid. So I'd have to say my favourite celebration is Eid. Garland please! Come on - I have gloss paint all over the lawn - I neeeeed a garland. Would it help if I said I also love autumn? Oh OK the real holiday I love (as a homeschooler) is when the kids go back to school because everything becomes cheap again. Hello Tif! Lovely as always to read your blog. 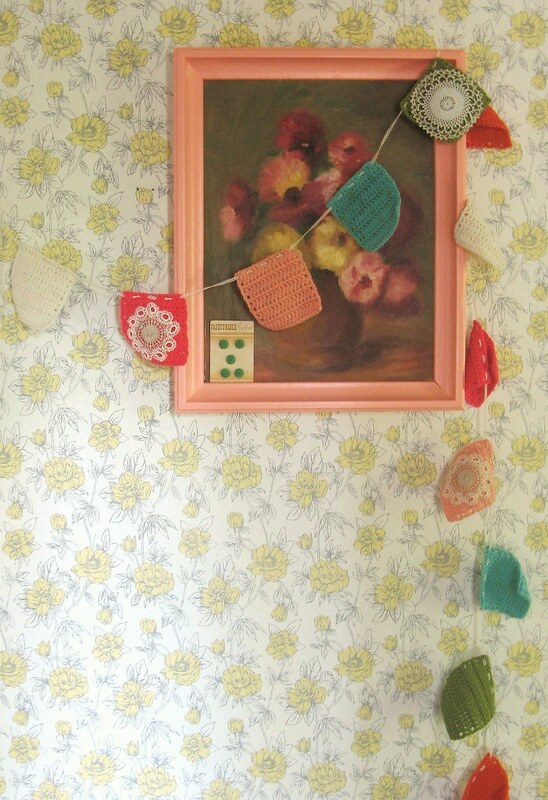 I would very much love to win your doily garland. 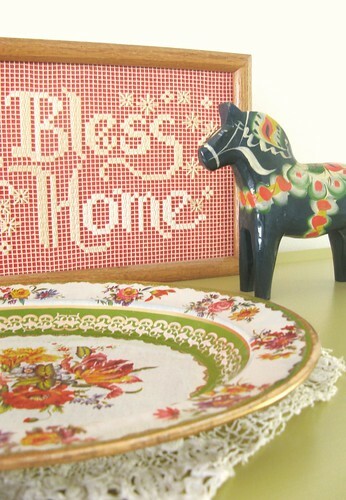 I think every home should have the odd doily in it. Mine is clearly lacking in that department. Now the whole lead up to Christmas and the six weeks the girls have off school would have to be my absolute favourite time of the year. I love having them home, most of the time!! I love the excitment they get with Christmas looming. Showing them all the pretty Christmas lights, going to church, letting them choose presents for each sister (handmade this year of course!) having the whole family together (some from over the waters) and the lovely spirit of it all. Christmas in NZ is quite different from the rest of the world as we are in summer mode. But we still like the whole idea of doing it the American and English way. There is fake snow on windows even! Plenty opt for BBQ's but not me. I like a sit down meal done properly. Gosh, sorry I've rambled! Hope you refreshed your cuppa before reading this. Ooh! I am a Halloween and Thanksgiving woman too. Pumpkin pies and sweaters. Yum. And garlands? I love those too! First of all, thanks for the tip about the shop "Sisters" - I also live in the Seattle area and am always on the hunt for new shops to drag my husband to.......now, my favorite Holiday has got to be Halloween with Christmas a close 2nd. At least with Halloween I'm not stressed that I haven't finished shopping or making my gifts. I love all the decorations and especially hunkering down with the fire going and watching old scary movies.....love your garlands and hope my karma is good for this giveaway!!! My favorite holiday is Thanksgiving. Both my husband's family and my family all get together for delicious food without all the worries of gift giving. It's always relaxing and fun. I have to go with Christmas too, since it lasts more than just Christmas day, and you get to do so many different activities. It's especially festive now that there are kids to do it up for. glad to see you putting your crockpot to good use Tif!!! No I don't see any issue with that many garlands, I have just found a collection I didn't even know I had ... Rose books, about 30, some the same even!!! My fave holiday is Christmas for sure. Love the lead up, the decorating, the gift making and wrapping, the cooking, Midnight Mass, the turkey and cranberry sauce and roast veges and trifle!!! The present opening with family but most of all the excitement of my Princess during the lead up, the ritual of the raindeer food and hanging stockings and the wonder on her face on Christmas morning. Aside from the religious significance for me that day is the one special day of the year we come together as a family and thats what counts! I would say my favourite celebration is Australia Day. It would be the US' equivalent to Independence Day. Everything gets decked out in green and gold, you have a barbie (bbq), feel all grouse (good) and happy to be an Aussie! Thanks for sharing such lovely stuff, I find your blog very beautiful. Thrifty girl after my own heart - there is nothing better than a good thrift shop find! At first i wanted to answer this question with another celebration other than Christmas, (it was just too obvious), but truth be told, it still is my best celebration on the calendar. I think I love it so because of memories. My grandmother was responsible for making it so nostalgic. We went to their home and everything was magical, egg nogg, mince pies, proper christmas pudding with flames, crackers and family round table with the best linen out. christmas.... i love christmas. i grew up having wonderful christmases- full of cookie baking, egg ornament making, and lots of crafting with my mom and brother. as i've grown up i've succeeded in keeping the christmas spirit alive wherever i am- from a small studio apartment alone, to mimosas on christmas morning with my family. how can any other holiday compare! What a wonderful giveaway!!! It looks like your crockpot is going to be chock full of Christmas loveliness and I too am going to join in. Christmas was a bit of a rough time when I was a kid as my parents had the brilliant idea to get married on Christmas Eve. "What a brilliantly festive idea," you exclaim. Well...yes...provided a nasty divorce isn't in the cards! Needless to say, I've spent my adulthood learning to embrace Christmas and to start traditions that I hope will be passed on for generations to come - my brother and I both make Grandma's shortbread eventhough we live over 4000km apart. Come to think of it, Grandma makes her shortbread too, even at the age of 95! Anyhoo, Christmas gets my vote although my rascally liver would prefer that the vote go to Robbie Burns Day. The older i get, the more i am liking Easter. 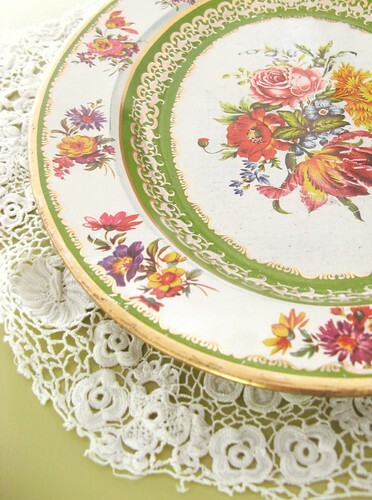 I love to decorate for spring - the colours are so pretty. I set up Easter egg hunts, and have family over for afternoon tea and always make a visit to see the lambs!! My favorite holiday is defenitely christmas. No doubt about it. Spending few peaceful days surrounded with family, enjoying all that music, food, atmosphere - what could be better? It has to be as I just love the whole magically special feel it gives. I love all the sights and sounds and smells that just shout Christmas.From candles to fairy lights and mince pies to mulled wine! A big roast turkey with all the trimmings.Grandmas stuffing and apple sauce.The family recipe christmas pudding with the huge jug of brandy sauce that no-one eats!.Carols sung around the piano. I also love how everyone involved feels special. i have just made some bunting/garlands for a gift, but don't have any myself yet. i understand your penchant for them. i think christmas is the best, perhaps the lead-up rather than the actuality of it anyway. besides, in aus we don't really have that many holidays. and even though it is summer and the snow is fake, christmas is still the most magical! I just discovered your blog and I think I am in love! As far as my favorite holiday... I would have to go with Christmas. Everything and everyone is so cheerful and cozied up next to the fireplace, playing games with family, drinking hot cocoa or apple cider... YUM. Gotta love it. Of course, I would have to say Christmas...but Thanksgiving is a close second. What a special, generous giveaway!! Pretty much sums it up, I think? My favorite holiday, like many many others, is Christmas. My family celebrates on Christmas Eve, with our family dinner and family gift exchange. It's always a wonderful time with family, wonderful food and Christmas movies! I have to say that I love Christmas too - despite all attempts by rampant consumerism to completely wreck it - there’s nothing like it. Whether you family is blissed out or squabbling, or even if you’re spending it a deaux - when the day rolls around it is magical. Maybe it is because (unless you put the telly/radio/interweb on) all the clamour stops - and you get to concentrate on your nearest and dearest. Whether that is your extended clan or your cat. I would so-o-o love to win this giveaway prize and wonder if my answer might be the winning one. My favourite [or should I write favorite] holiday [in the largest sense of the word] would actually be someone else's birthday. I love to see the looks on other people's faces when they open their presents and cards. That in itself is a most wonderful gift, especially when you get it right [which you would if I were to win the garland - hint-hint!]. hands down favorite is Thanksgiving. Being thankful for what you have..not worrying about buying piles of presents. And it revolves around a good mealand family. What more could you want from a holiday?! Love your garlands. Halloween. Actually the whole of fall. The food is the best, the weather is the best. The smells, the outdoor activities, the costume making, the colors. Pretty much every day from late September to the middle of November feels like a holiday to me! I adore Halloween- I do love Christmas too but truth be told Halloween is just plain good ole' fun- no presents to buy- no stress. Yes, Halloween is my favorite Holiday although I do love to go on Holiday! This may sound morbid, but my favorite holiday is the Day of the Dead (Dia de los Muertos). 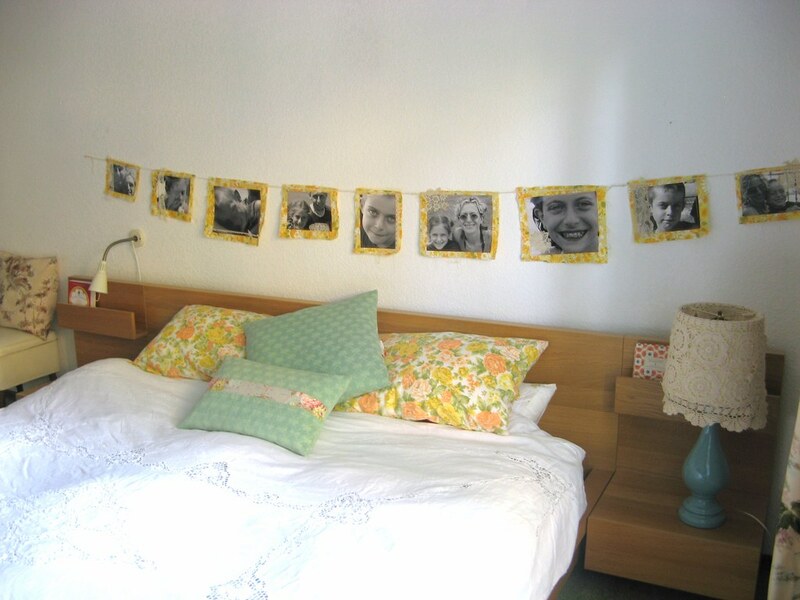 I love the marigold garlands, papel picado, and photos of loved ones who are no longer with us. It's not, as some people assume, a celebration of death. Rather, it's a celebration of remembering the people in our lives who were important to us. My 12-year old son didn't get to meet my amazing grandmothers before they died, but on Dia de los Muertos, they see photos of them and learn about who they were, what they liked, how they lived. Christmas is most definitely my favourite holiday! About 15 years ago I had to limit myself to a colour theme so I would have room to store all of my treasures. I now collect vintage pink holiday decor -- and only put pink ornaments on my tree (well, almost-- I have some lime green too...). this past weekend I found a vintage linen pink and lime green Christmas apron in a thrift store! I just love a cozy Christmas, curling up under the lights of the tree, candles lit, drinking tea or hot cocoa, and eating cookies....no t.v. ....... My mom does a different themed christmas every year -- this year is "All dolled up" so I've been making paper dolls to decorate her tree...but my family says that I can't put on Christmas music until December. What's with that?????? I love Christmas, even though I usally work at the hospital to give people with children some time off, it is nice to sit and share a meal quietly,slowly with friends and family. Sometimes, it means sharing christmas dinner, with a little fake tree at work with the doctor I am working with, but thats ok too. i am a music/movement teacher and love it but.... the 10 weeks off in the summer is my "holiday" of choice! pure freedom ! enjoy the special time with your friend! Pascha, or Easter, is beautiful as an Easter Orthodox Christian. So much light and joy that it defines all joy and celebrations for me. Halloween... don't no if it's really a holiday or not but it is just so much fun to decorate the house, myself and the kids.... that I just love it....!!! it is not that i don't like christmas because i really really do but i have to say that the days in the spring that are free (marked red in the calender :)) are the best days in the whole year for me because my favourite season is spring...i LOVE that time of year! autumn's my favourite season...when the weather turns cold and getting dressed means blasting the hairdryer up me jumper and down me socks before putting them on and then at the other end of the day..changing into hairdryer blasted pyjamas + feather knit socks to sit with a small glass of sherry! and so holiday wise it has to be Halloween. Hoots of fun with black and orange crafts, more sherry and happy, happy, hooting kids! I must agree that Christmas is the best. For so many reasons: snow, cutting the tree straight off the mountainside, sweets (I'd like to make a Buche de Noel this year), traditions, gift-giving, family. Couldn't I go on and on. Thanks for the giveaway, by the way. Oh, I would love to win this sweet garland. Just discovered your blog through a link from Emma Bradshaw. I love Christmas, but maybe my favoritied holiday is Valentines Day, not for the romantic mushy stuff. Rather, I use it to send loving thoughts, presents and cards to friends and children and to me the holiday is more about love and friendship in a sweet and meaningful way. I would really like to take part in your dottie angel challenge of the utmost kind starting from today. I am new to your blog and find it really inspiring. Could you add me to your sidebar, my blog is www.towalkwithwings.blogspot.com Thanks, from Kristy. Oh, and the Christmas season is my favourite as there are always little miracles that happen to so many people at this time. Defiantly Spring...flowers, warm days, cool nights and the slight hint of summer on the way. I must agree. I too enjoy Christmas immensely! This is inherited from my grandmother that would start decorating for Christmas in October. We would go to her house for trick-or-treat and there would be the Christmas tree decorated in all it's splendor. I'm muslim so it has to be eid, we don't celebrate anything else here. We've just had our first child so I'm looking forward to creating some "Aqeela's house" traditions round here.... Garlands (!!! ), fairy lights, candles, sparkly decorations and delish family meals. Love ur blog, only found it a few weeks ago through mumu design. I've 'ummed' and 'aaahed' about this because I'm not sure if my favourite is truly counted as a 'holiday'.... but here goes. I love Christenings. I've only been to 3 in my adult days. I'm preparing for the 4th and for this one I am to be a God Parent for the first time. I am so very excited! Why do I love Christenings? Because they are such a wonderfully affirmative celebration of Life and Joy and Possibilities. All the glorious Possibilities and Potential of the life ahead of the young baby. I love that all those friends and family come together bringing their love and hopes and joy for the child. It's like the complete delight of seeing the first flowering daffodil in Springtime - that's what a Christening feels like! I also rather enjoy the tea, cake and sandwiches afterwards....! Hope you are enjoying lots of laughs and fun times with your friend. my favorite holiday is Easter, not for the religious implications or ceremony, but because of my families traditions on that day. We would get together and have a thanksgiving style meal with spring foods so it was much lighter than the winter holidays. Mine would be either Thanksgiving or Christmas. They are just super relaxing and you get to see lots of family. Plus there is always good food, it is cool outside (usually) so you get to stay inside and be cozy. Same as the poster above me, Thanksgiving has always been my favorite holiday. I like that it is centered around family (and food!) without all the commercial trappings of Christmas. I love that T-giving still seems a bit of a neglected holiday (not as much fuss from retailers about it). it is a bit of a overlooked holiday compared to Halloween or Christmas. I think that is another reason why I enjoy it so much. My family is together, giving thanks for the simple things in our lives: each other, our home, our day to day. the things that really matter. family, just seems to come together so well this time of year. all the love and kindness this time brings you can just feel it in the air. santa claus, saint nick...there is no other time in your life that you are going to be so excited at the thought of an old hairy man getting into your house and leaving presents. my husband, we were married last dec and we were so sad bc it never felt like christmas for us. we were dealing with all the details of the wedding...so this year we are going all out!!! also he travels almost all the year in a band so christmas is the most time he has off in the year! wassel, you know the song? "here we come a wasseling..." well my mom makes the best wassel and it warms me to the bone! thank you for sharing you darling thoughts, photos, and craftyness! My Favourite holiday exists only in memory, but I treasure it still. Christmas eve of my childhood was a most wondrous time. Everyone in the family came to my house for dinner, and we all dressed up in our girly best, and there was merriment and joy, and, perhaps best of all, the anticipation. Christmas had not yet arrived, and the thought of all the goodness to come (materially speaking, of course, materialistic heathen that I was/am, but also all the togetherness) was almost too much to bear. I knew my grandparents would be back in the morning to open gifts, and there would be chocolate and food and new books, but that moment, in that evening, every year, captured my heart utterly. And outside the house, it was like the world was silent and happy. So that's my favourite holiday. Christmas eves, 1977-1987ish. I think by far my favourite holiday season is Thanksgiving. I love filling my house with the smell of pumpkins and fresh baked bread and decorating with all the golds, browns, and reds I can find in nature. The best part is having my entire, newly extended family over to partake of dishes passed down from both sides of the family and conversation with relatives from far away. I'm struggling with being the umpteenth person to say Christmas but Christmas it is. I'm a bit of a Christmas addict - playing Christmas music all year round (secretly of course)counting the months until the Christmas magazines come out and then buying most of them in one go. I try and ignore the crazy glances. The sad thing is my Christmases are usually fraught affairs with no snow and me running around like a mad woman growling at everybody. Each year I say I will start earlier because I like to make most of my gifts but end up sewing madly into the early hours of the morning. But the good always outweighs the bad and come Christmas Eve at 3pm when Carols from Kings starts on Radio 4 hot tears prick my eyes in gratitude that I have another Christmas to celebrate with my loved ones. My favourite Holiday was always Passover. Growing up in Israel its the biggest holiday of the year (for my family anyway) and we always had huge family meals (even the smallest ones had about 10 people in them, and the biggest probably had about 20 something). And there was always some sort of team work going to sort out the food, the tables with the white table cloths and the awesome food! actually, Halloween is my most favorite holiday...I love the craftiness that is part of it, from making costumes to decorating...and it is just pure joy! I have to say, Christmas holidays are the best. Good food and good times with the family. It's the time of year when I see the most of my family, reminisce over the things we experienced throughout the year, and make plans for the year to come. Not to mention all the crazy gift-giving and white elephant swaps. Good times! Well, sorry to sound boring, but yes Christmas it is...except that in OZ, we do it back to front, and it's usually too hot to be running out getting pressies, and actually cooking anything...the Christmas BBQ is becoming an institution, and we do seafood quite well down under too. I wish we had something like Thanksgiving, I love the idea of that. Our family will probably do World Vision Smiles again...nothing like giving a goat! All going well with the challenge, Tif...I even cancelled a subscription to a clothing catalogue that I love (never used to buy anything anyway, just drool!) Hope you are going well too. 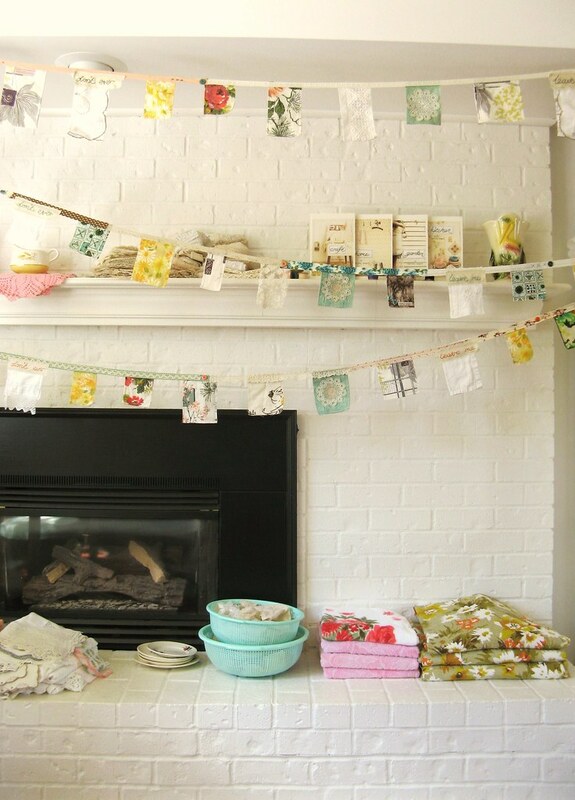 Love the garlands...I am on a bunting making spree myself...getting ready for the markets around Hobart. William Blake (I think) wrote "Gratitude is heaven itself". Thanksgiving is all about gathering in...friends, food, family, and taking a deep breath and saying THANK YOU, to one another, to Mother Nature and the Great Spirit. The chill in the air, the steam and fragrances in the kitchen, the colors of the season, it's all magic to me. The commercial din has not quite claimed Thanksgiving. It's a holiday that's still fairly true to it's beginnings. And I believe that giving thanks helps us remember what's really important in life. I`d have to say Christmas is my favourite holiday. I love the smells, the food and drinks, giving away presents to my friends and loved children - not to forget spending time with my family which I barely see during "normal" weeks because of work and hectic scheduals in our spare time. I also love the snow and of course chritmas music. If we are talking about "going-away-holidays" (I`m norwegian, so holiday for me means two things)I`d prefer going to a place where the sun shines and the ocean is luke warm, an extreme contrast to the dark days and the icy water above the polar circle where I live. Dearest :) I love your style and the colors. Follow your blog and flickr photos. Keep up the inspiration and beautiful work. I love Halloween the best. The costumes are delightful...there's no expectation of gifts...it's just a fun & exciting "holiday". Christmas! definately. It is such a magical, festive time of year. And - it's to celebrate the birth of Christ, the best part for me! I'm already planning too - I want Christmas to be extra magical this year, I'm going to do all those things that I mean to do every year but run out of time for. And your garland! oh my oh my! It would definately make my Christmas more magical, I LOVE it! Christmas would be my fave. Last year I started the tradition of making it handmade, and handmade is what it will be from now on, so I too am already thinking of Christmas, I have three girls to make presents for, that's alot of making. We also give our kids a new ornament every year which they think is fun, and I wrap Christmas books up and we open one up every night in December and read it together.